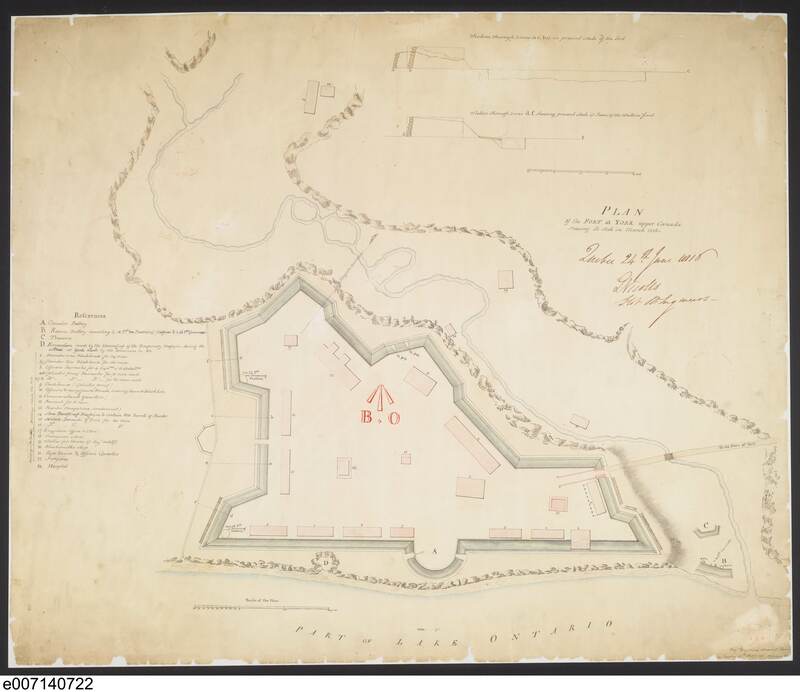 This plan shows the fort as it was rebuilt after its predecessor was destroyed in the Battle of York, 1813. A souvenir of that event remains in the crater on the lakeshore left when the Grand Magazine was detonated on the orders of Sir Roger Hale Sheaffe, the British commander in chief. A complete key to each of the buildings and outbuildings helps understand the scale of the establishment. Nicolls’ plan is thus invaluable to our understanding of the modern Fort as a physical representation of our past.